The last day I was fully human started off like any other April Monday in East Texas. Oh, sure, there all kinds of warning signs that my entire world was about to come crashing down around me. But I didn't recognize them until it was too late. 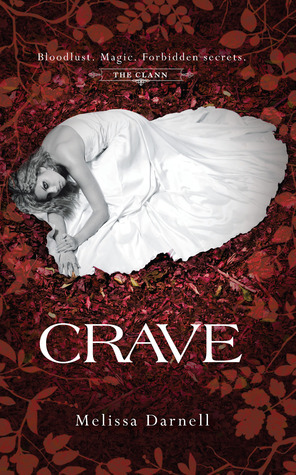 Normally I wouldn't go within six foot of a vampire book, yet I was intrigued by the combination of witches and vampires in this one; this could have been a real love/hate book for me, so I cautiously stepped into the story. I was also a little weary as I know a couple of other bloggers were not happy with how the story ended, but I refused to be swayed too much. Luckily I really enjoyed it and I can definitely say I am looking forward to the second book. OK, without giving too much away, the ending wouldn't please everyone, but to me it was definitely the right ending in order to prepare us for the next book. I t was obvious how the situation would have to continue. I have also seen some really negative reviews of this book which really surprised me as I did enjoy it. There are Twilight similarities, but I think there are such similarities in many vampire books these days; however I felt there was enough originality in it to keep me reading. Some of the characters are rather vague, yet I am convinced they will come into there own as the story progresses. I loved Tristan! He was definitely my kind of romantic lead, all that fiery witch power just oozing out of him, making him extremely volatile at times; he sent shivers down my spine! I loved the whole Romeo and Juliet forbidden love situation; it really brought the story alive. Not only were forbidden to see each other, but it was actually unhealthy for them to be together, in fact physically dangerous. I was pleased that the relationship developed slowly over time. There is no instant love here; not only had they been friends as children, but the book covers nearly a year in their life, giving their feelings time to evolve. I really didn't like the other Clann kids. They were obnoxious spoilt brats who needed to step back into 90210 where they belong. The way they treated Savannah was completely uncalled for; they were only acting on second hand knowledge,so they really didn't know why they were being so nasty to her, it became a habit. The story is a little slow in places but I felt the ending made up for that. I felt this book really laid the foundations for the rest of the series and I can't wait to see where the story progresses. For a debut author, she has me hooked! This does sound good and I love the cover, definitely one that I'm sure will reach my shelves at some point. Most probably. I enjoyed it. Very popular on the blogs, the ending seems to be getting lots of comments as opinion seems to be divided on whether or not it's a great ending or a disappointing one, thanks for sharing your thoughts. If you are looking for a happy ending, then this one isn't for you. I didn't realize this was a vampire book. That makes me want to read it so much more! And I kind of like spoiled brats :-) I definitely want to read this. I definitely think you will enjoy it. I'm glad you liked it too! I didn't think I was going to but once I got into it I devoured it and really liked it. Not sure why the ending it getting fire bombed - I thought it worked really well for the story. And on a side note, do read Black Arts - so much better than the cover indicates. I raced through it, definitely a highly recommended!